The seat is of course comfortable, the take-off was on time and the aircraft is great. Want to know how to fight like a samurai? 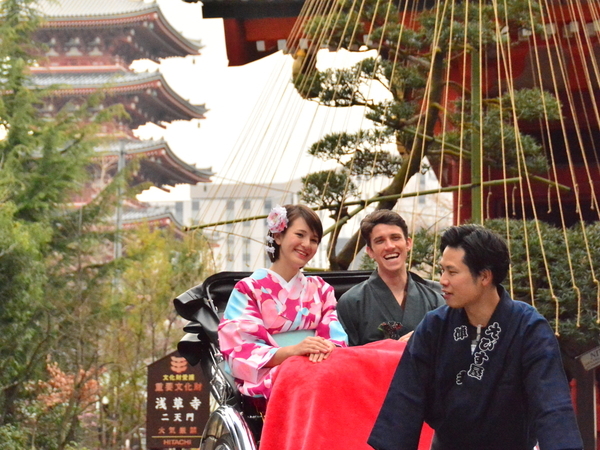 Take a Samurai Lesson at Asakusa! 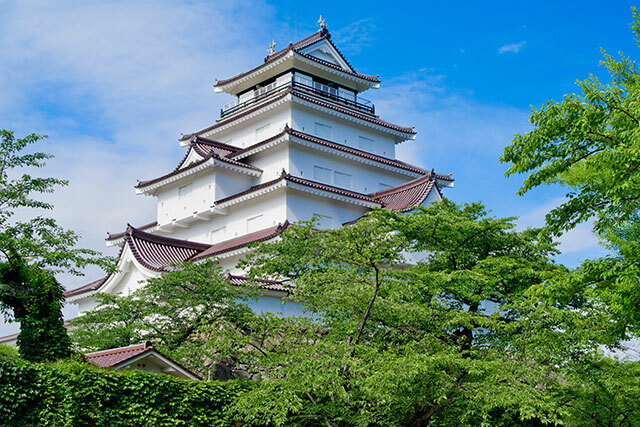 Have fun learning some basic Samurai skills here. 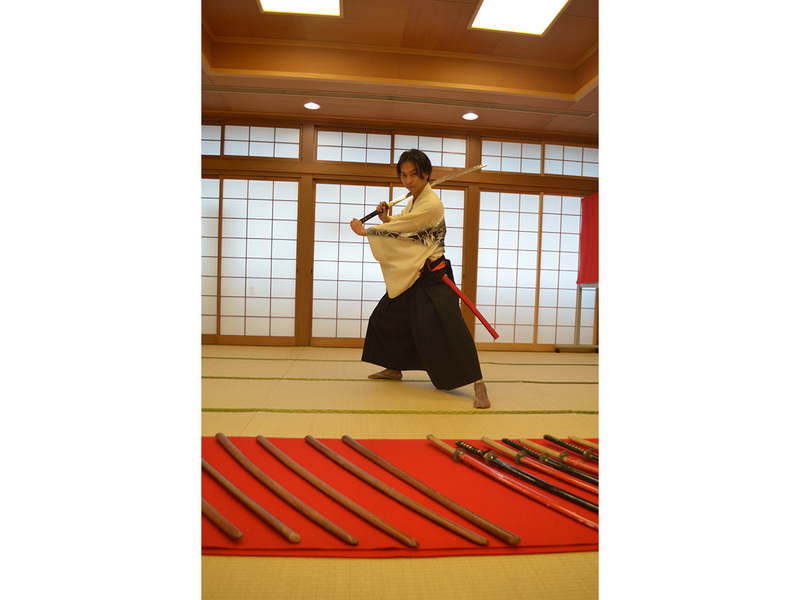 After changing into a hakama or kimono, we learnt basic sword forms and movements. It's really interesting to learn about the arts and we did a sword fight with our partners at the end. 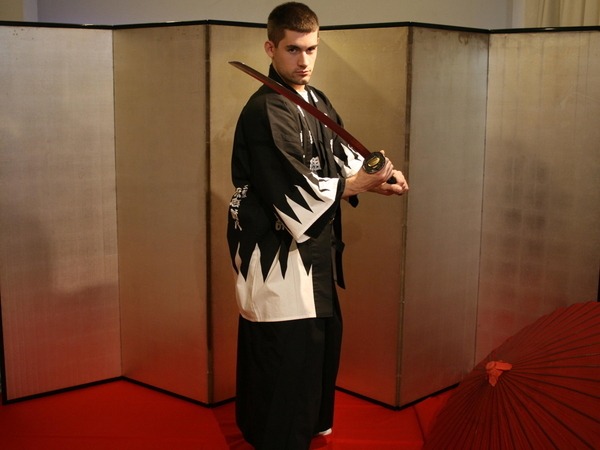 In addition, we also receive an official Samurai Training" certificate from the school! The entire experience takes in a little over an hour, so it's easy to fit into your schedule. The day started off with the exciting job of choosing a Yukata to wear. With heaps of choices one will be spoilt for choice but fear not for the professionals are there to help. 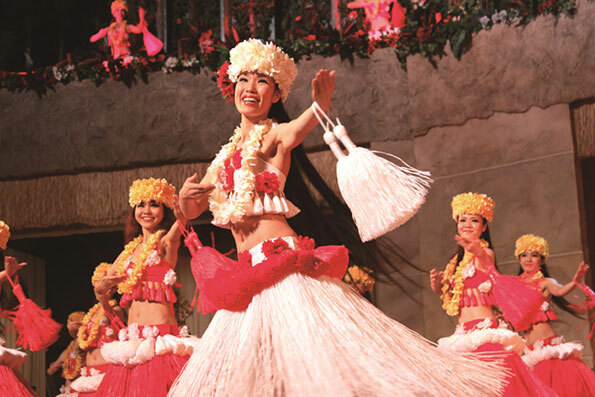 Following the you'll have to put on these baggy black pants-like garment called a Hakama, which would allow for easy movement, even a split when you can manage it. It kept me upright and reminded me of exactly why I find paintings of Japanese women in Kimono so elegant- once the geta (traditional wooden clogs) are on my feet, the tight hem of the Yukata makes it impossible to take big steps or to jump around like a deranged rabbit. After the hour session however, I’m pretty sure despite my neat laminated Samurai certificate I’m further away from becoming one than when I started, albeit with a better grasp of ‘how to fake a death scene’. 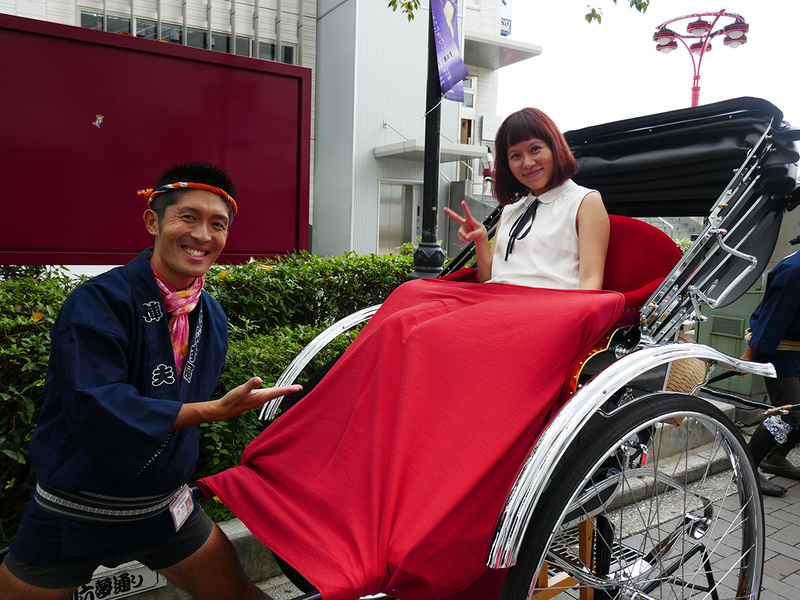 If it is your first time to Asakusa, why no hop on the rickshaw to have a nostalgic ride while discovering Japanese culture? The rickshaw drivers speak good English and they are cheerful, friendly and certainly very macho! 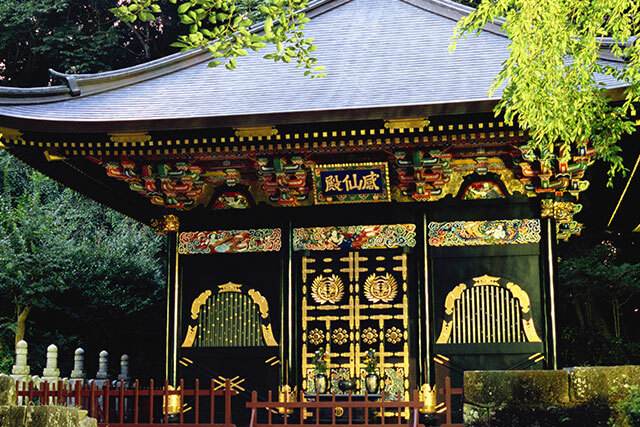 They will bring you around the lively and nostalgic downtown streets and you will also pass by the bright and colourful Senso-Ji Temple - Tokyo’s oldest Buddhist temple. Namiki Yabusoba is a famous soba restaurant in Asakusa, Tokyo. Established since 1913, it is said that one of the biggest and oldest restaurant of Yabusoba with recipes passed down from generation. Their specialty is the thick dipping sauce with strong soy sauce flavor. 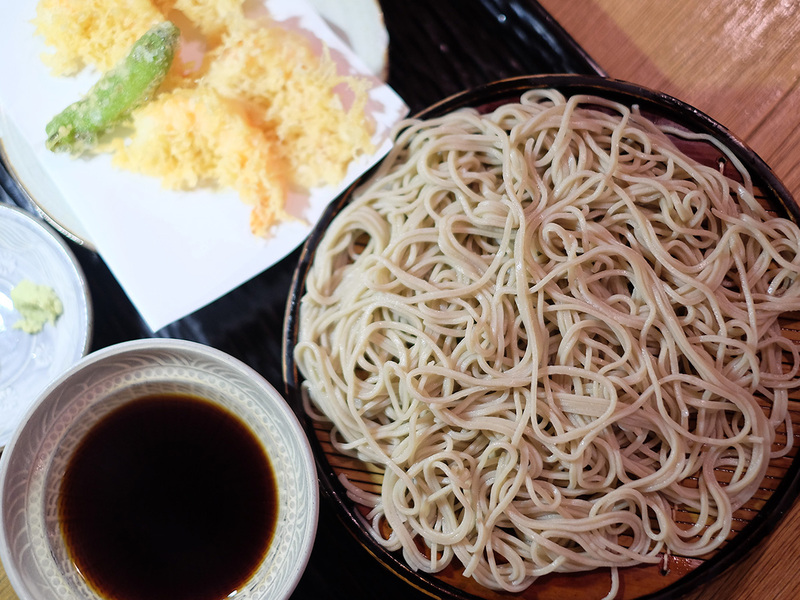 The noodles are hand-made from 100% buckwheat flour that was milled in the same day and gives it a moderate bite. Complete with hand-printed signs and bright smiles the team at Ebisu-ya greets our little group, before escorting us to our pretty little carriage for one. The friendly rickshaw drivers then proceed to give us a tour of the lesser-known Asakusa around the vicinity of the temple. A tiny unassuming shop on one of the side streets, this Edo-style soba shop named Namiki boasts long queues at its entrance during meal times, making it hard to miss even for a first timer. 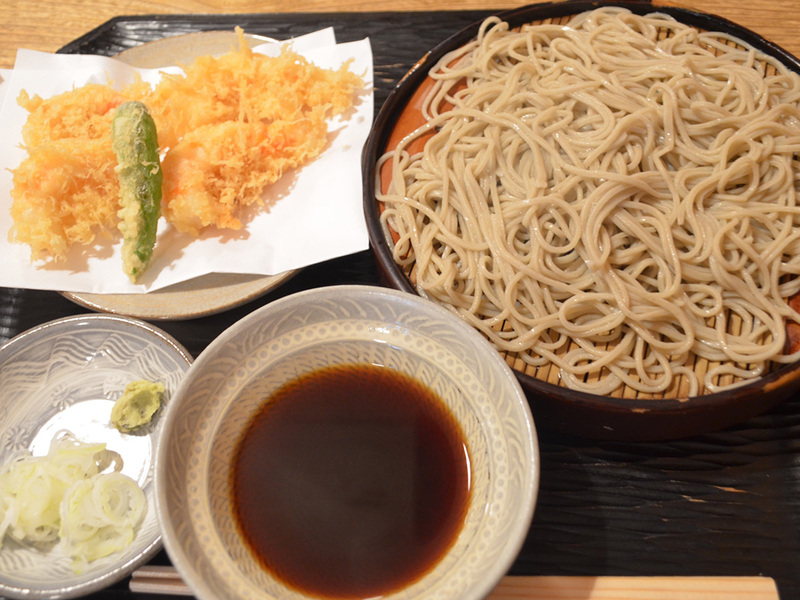 The delicious, chewy and fragrant soba noodles were perfect together with the thick soy sauce dipping sauce, and the tempura was fried to perfection and was crunchy whilst being light on the tummy. We went to Isetan and fell in love with the depachika (department store food hall) because they have everything to keep your tummy full! Sample your way through cakes cookies, tea etc and you can literally get your lunch, brunch and dinner here. There are beautiful bento boxes and even wine for purchase. 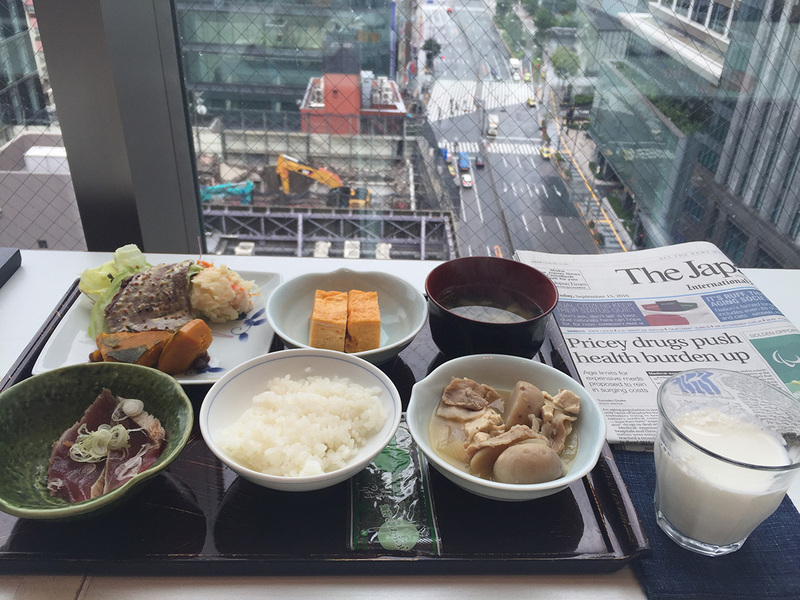 This is a true representation of Japan in terms of taste, presentation, and service. Kaitenzushi are less expensive sushi restaurants, where the sushi dishes are presented to the customers on a conveyor belt. 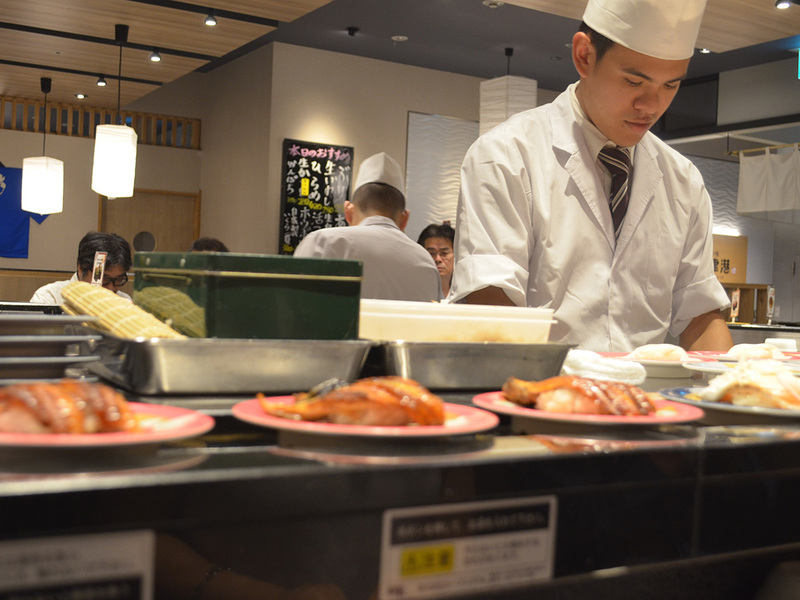 We went to Ginza nNumazuko, a sushi-bar in Ginza that serves fresh sushi on a conveyor belt. 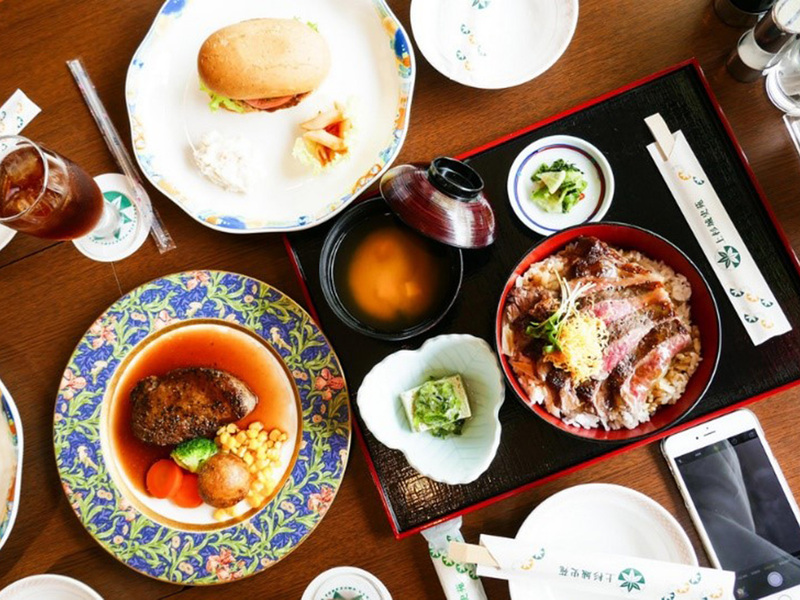 The basement of Isetan department store is a heaven of food, food and more food. 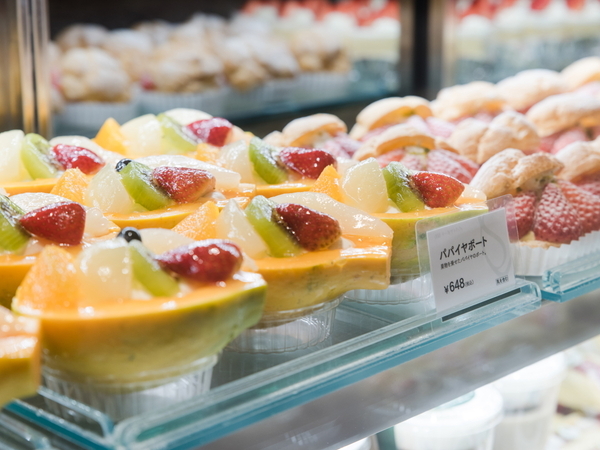 Complete with a supermarket as well as a cooked foods section where everything from bento to snacks to confectionaries and Japanese desserts can be found, it is a one-stop shop for everything. The atmosphere here is bustling, busy and crowded as people mill around hunting for food to fulfill their cravings. The Japanese snacks section was my favorite. 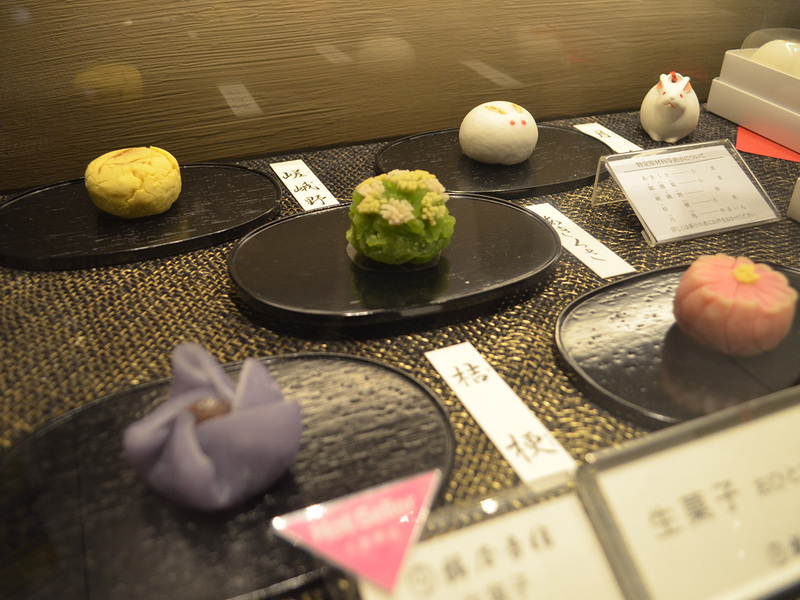 There were old shops selling wagashi (fine Japanese desserts), nutty snacks, and even one that did Japanese fusion desserts, resulting in a case full of puddings and toppings in vacuum packs for easy transporting. 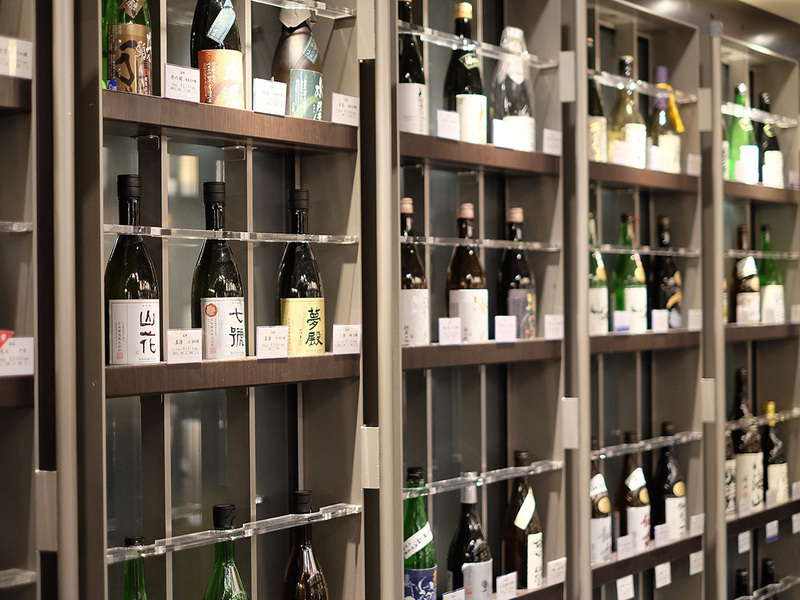 For those that would love a bit of Japanese sake, the sake section is filled with shelf after shelf of sake, ranging from the spicy ones to the sweeter options. 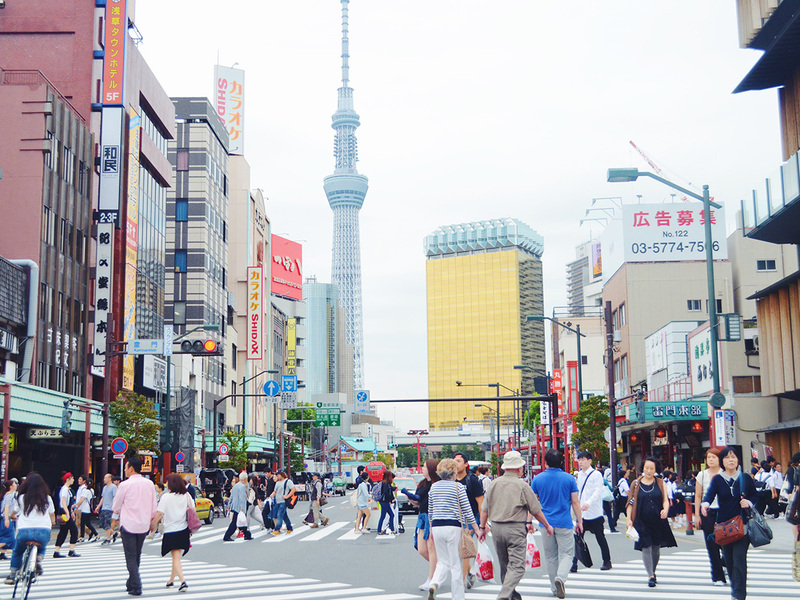 Shinjuku is a busy transport hub that is always loud, bright, and embodies just what a cosmopolitan city would be. Despite having lived in Tokyo for a while I constantly still get confused and lost admist the sea of people and tall buildings. What I love about Shinjuku, however, is how everything can be found here, and for all ages and budgets. Ginza is an upscale shopping district in the middle of Tokyo. Compared to Shinjuku, the lights here are a little less glaring, and it is a little less loud. 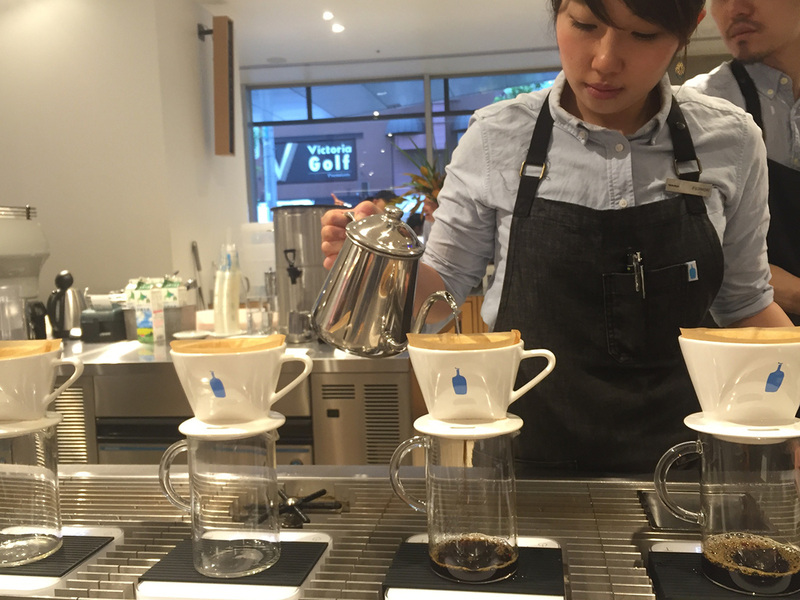 I love the new Tokyu department store in Ginza. The rooftop terrace boasts really great views of the crossing below. 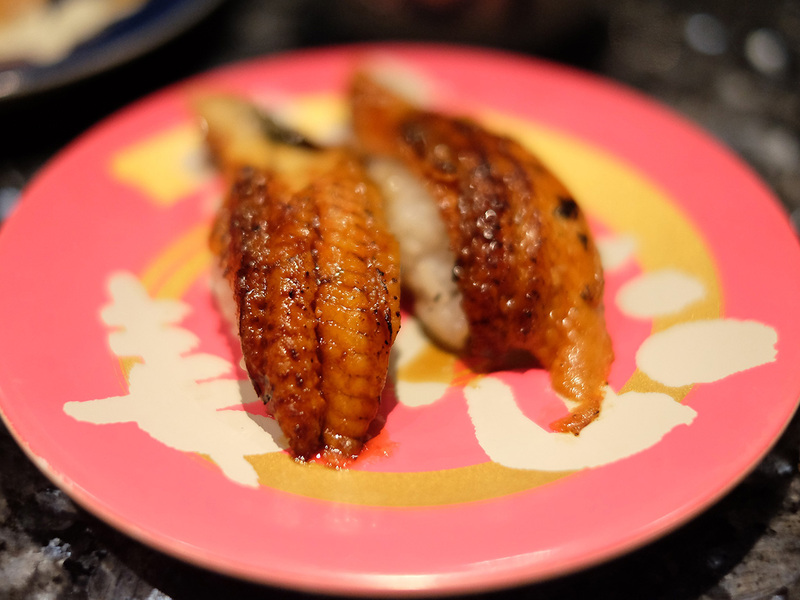 Located in an unassuming building on one of the main streets of Ginza, Numazu serves affordable and fresh sushi. Despite being a conveyor belt sushi establishment, they focus more on the quality and freshness on the fish rather than the novelty factor. 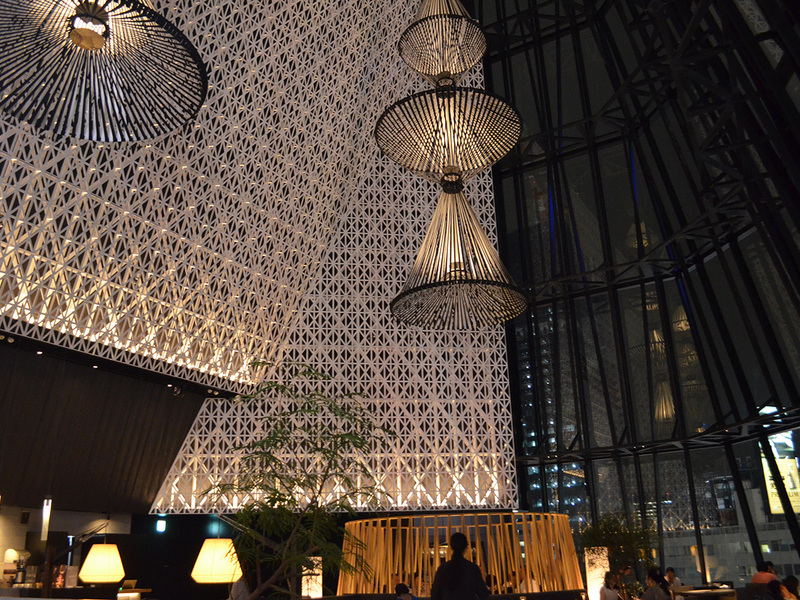 If you are planning a trip to Tokyo and looking for room stay, my recommendation is to book Ryumeikan Hotel Tokyo which is in a walking distance from Tokyo station. The hotel is relatively new and the bed is very comfortable. 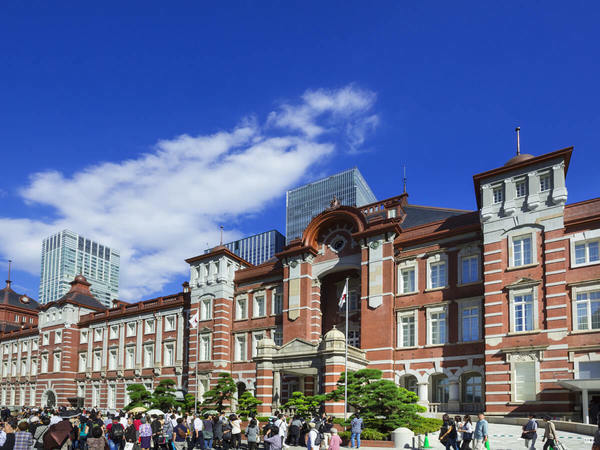 Conveniently located across Tokyo Station, the hotel boosts beautiful views of the streets below and of surrounding buildings and their rooftop gardens. Rooms are comfortable and more spacious than one might imagine for a hotel in the middle of the city. 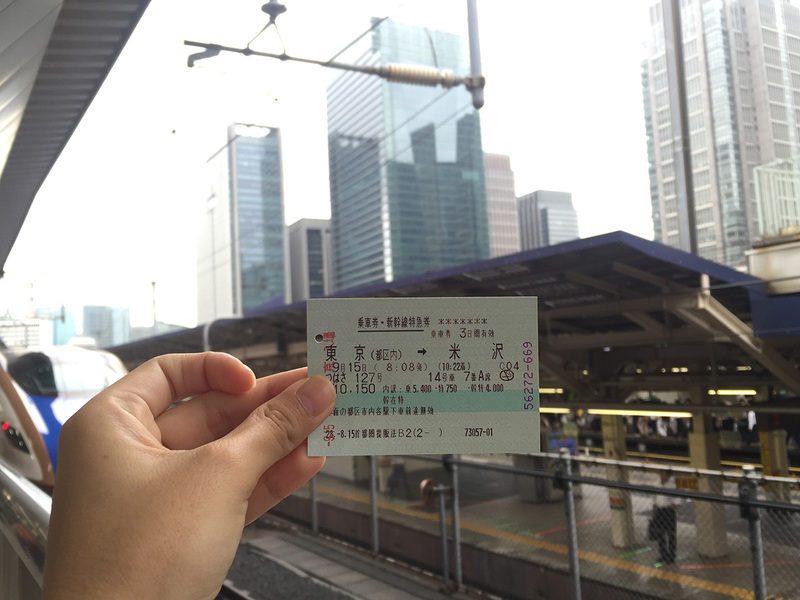 To get to Yamagata from Tokyo, we bought the JR EAST PASS（Tohoku area) for unlimited rides on the Shinkansen and limited express trains to Eastern Japan. Japan’s shinkansen, or bullet train, never fail to amaze me. Every time a train arrives, the cleaning crews will clean the whole train within 7 minutes.We first alight at Yonezawa, which is in the southern part of Yamagata Prefecture. 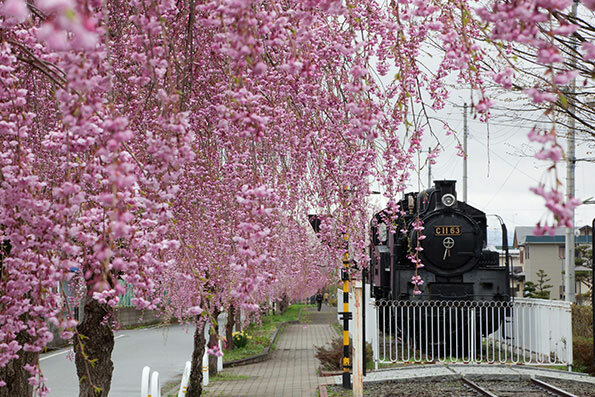 It is on the Yamagata Shinkansen line between Tokyo and Yamagata. 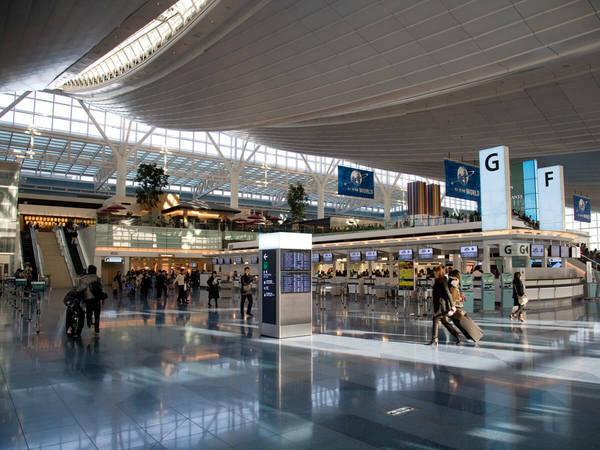 There are hourly departures from Tokyo, with the trip taking just over 2 hours. 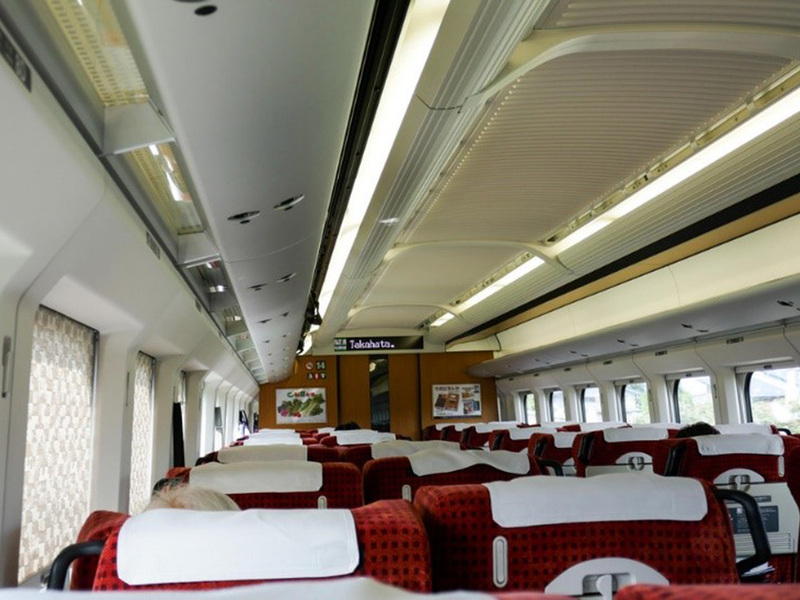 The two and a half hour bullet train towards Yamagata is operated by JR East, complete with omotenashi and comfort the entire way. Before getting on the journey, the 7 minutes angel (or crew) work at high speed to clean and sterilize the trains. Punctuality is a must, and when there is a slight delay, even just a 2 minute one, repeated apologies are made over the intercom. The Kojima Main Store is a sake brewery founded in 1597 to cater to the Uesugi clan of the Yonezawa Domain. It was one of the few sake brewers that was allowed to make sake during the incessant prohibition orders of the Edo period. 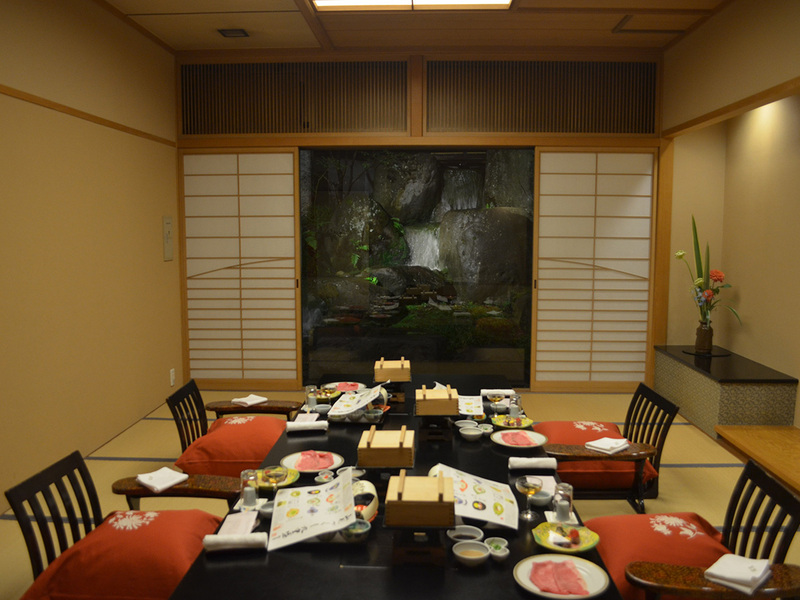 At the Sake Brewery Museum, visitors can view various displays, such as the restoration of the residence of the sake brewery and the sake brewing process. 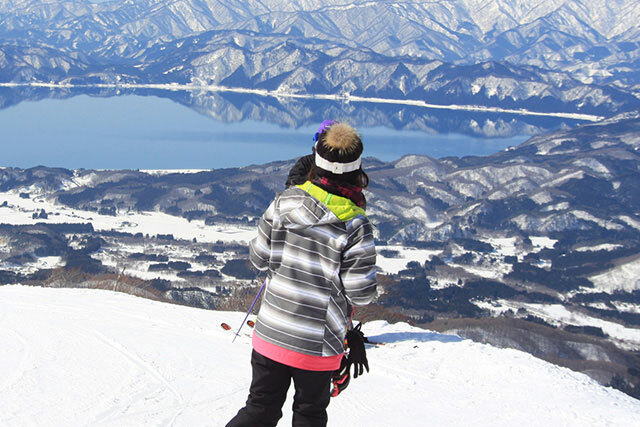 Yonezawa is also a favorite amongst sake lovers and the best-known local tipple is Toko. 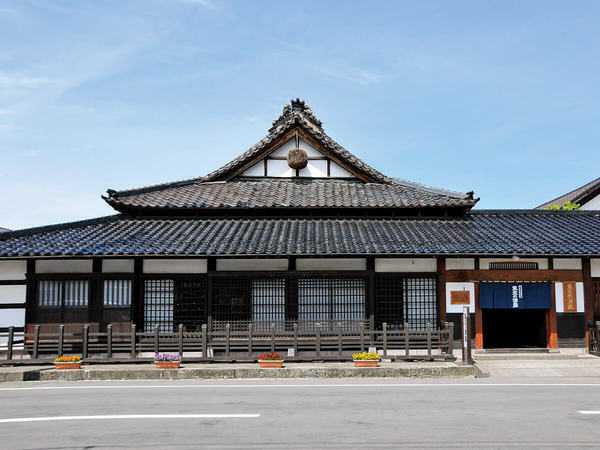 Be sure to visit the Sake-Brewing Museum Toko Sake Warehouse where you can understand the traditional Sake-Brewing within Yonezawa. Stated since 1597, Toko has been around for more than 400 years and Mr Kojimaya Zaremon is now the 23rd generation is taking care of it. 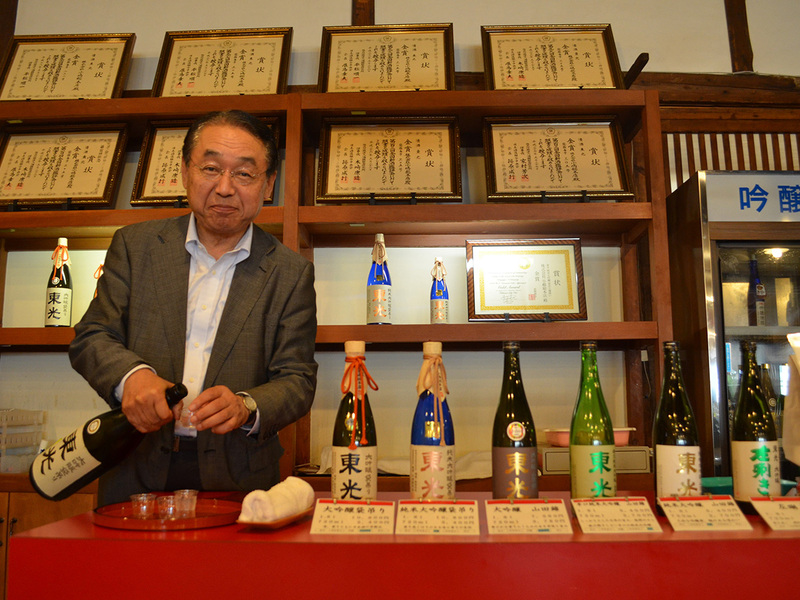 They have 54 sake breweries in Yamagata and are the 4th biggest around. They export to 13 countries world wide. 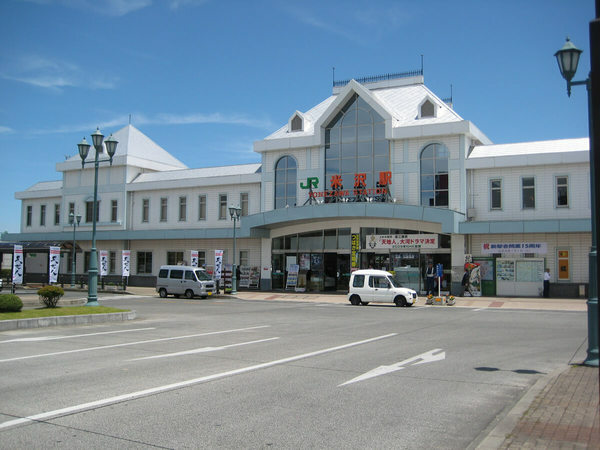 Yonezawa may be an unassuming rural town but do you know that it is known throughout Japan for its beef (Yonezawa-gyū). 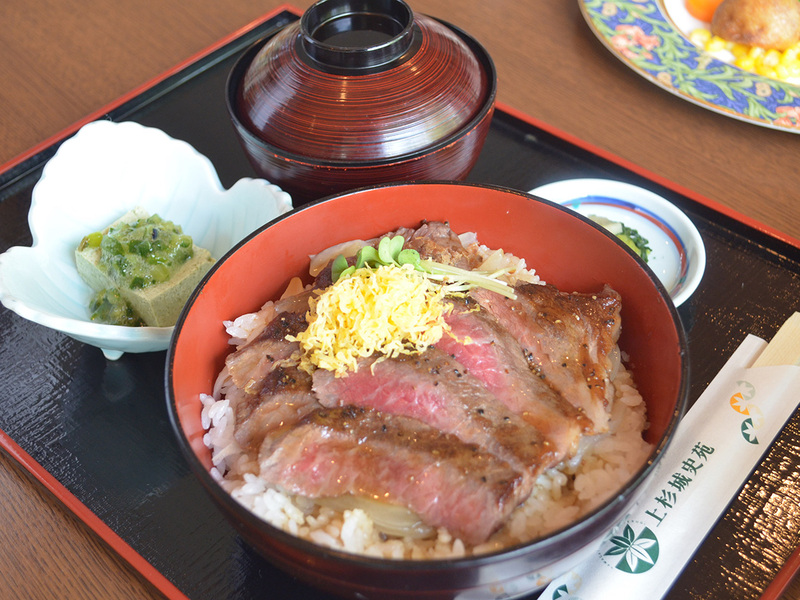 Its beef became famous after an Englishman named Charles Henry Dallas, an English teacher at the Yonezawa clan school, took a Yonezawa-gyū to his friends at Yokohama in 1875. 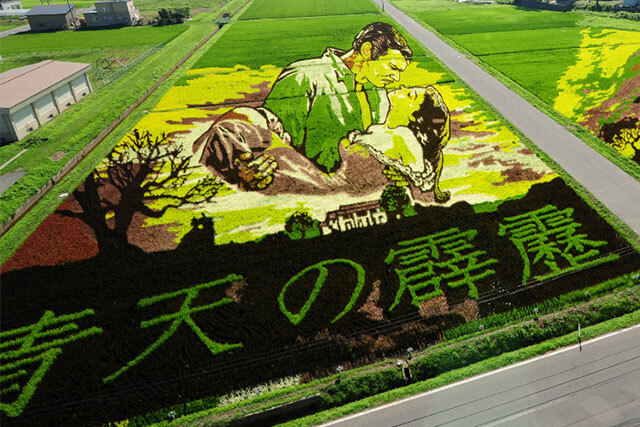 They love it and words start spreading about how delicious it is.Yonezawa-gyū are fed such rice straw that sucked up the minerals. Most of the cows are raised and fattened for the period as long as 32 months, which explains secret to the quality and flavor of the meat. 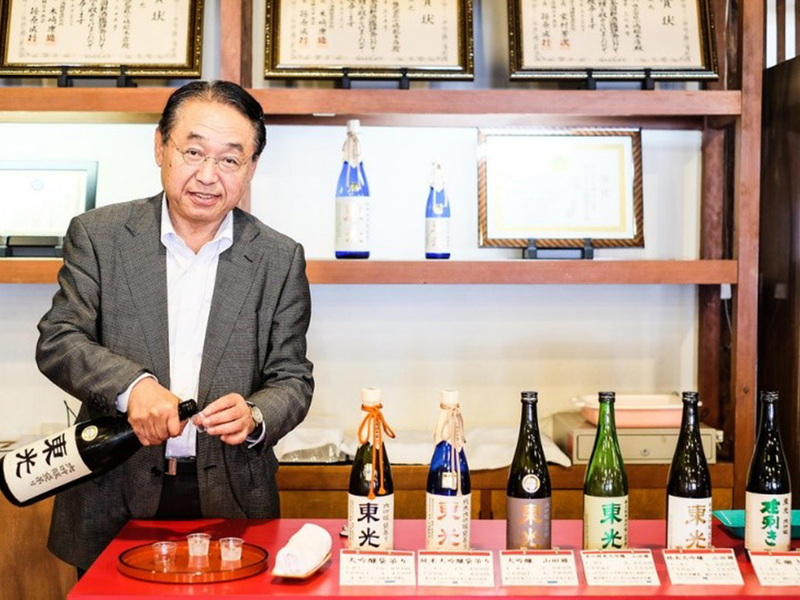 A Sake Brewery that is headed by its 23th generation and been around since 1597, Toko still retains their tradition today by brewing fragrant. Yonezawa is famous for their beef, and to be honest I don’t think I’ve ever had beef that was this tender, juicy and delicious in my life. I almost cried at first bite because it was too delicious for me to bear to eat it, and yet it would be the biggest waste if I couldn’t finish it. 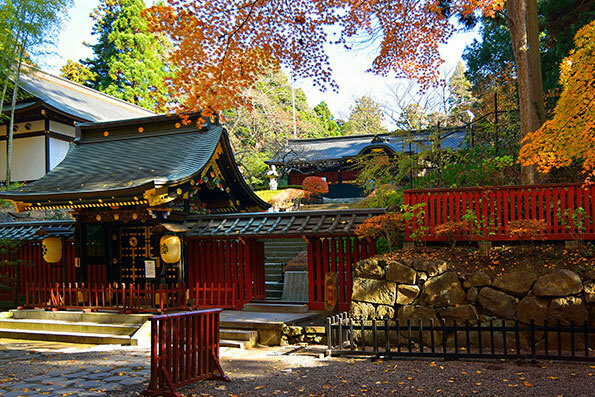 The temple was founded over a thousand years ago in 860 as a temple of the Tendai sect under the official name Risshakuji. 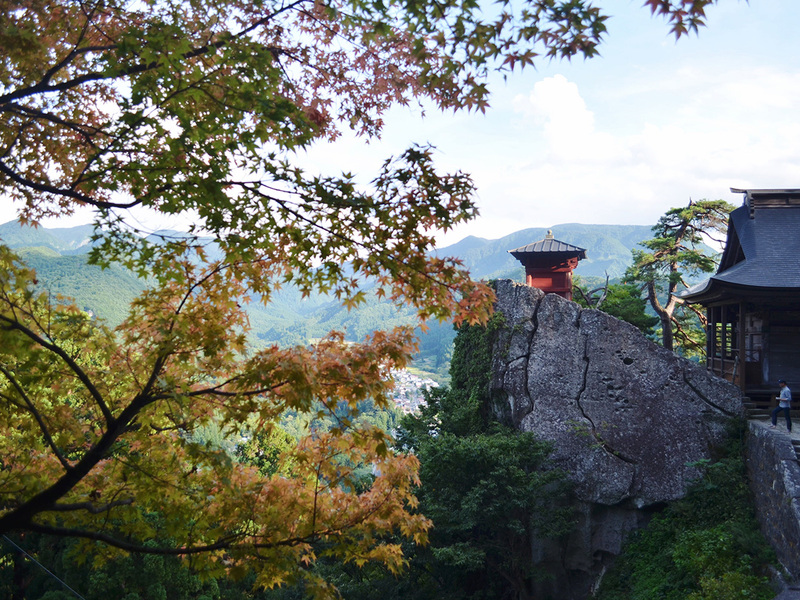 Its popular name, Yamadera, literally means “mountain temple” in Japanese. 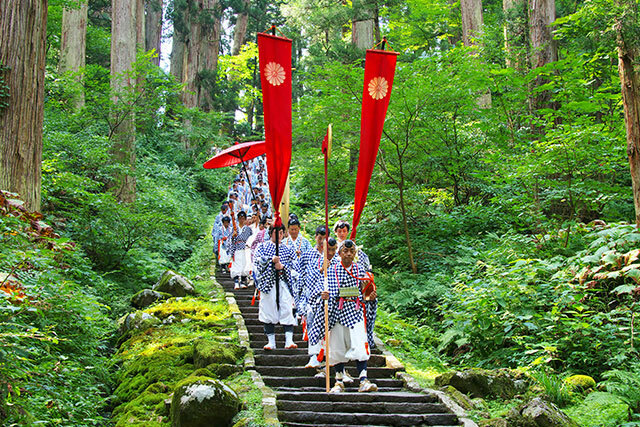 The temple is a nationally designated Place of Scenic Beauty and Historic Site.You need to take about 1015 steps to climb up to the top. But it was not difficult at all. Just do it at your own pace and when you reach the top, all is worthwhile as you will get to see the great view down onto the valley. The temple is easily accessible by train. You can take a short walk to one of several entrances at the foot of the mountain. 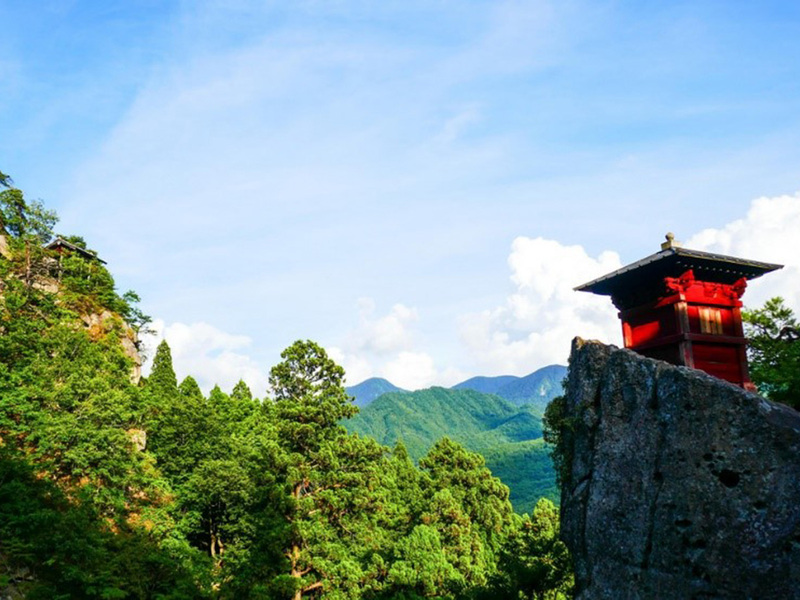 Risshakuji-Temple, also known as Yamadera (literally translated as Mountain Temple) got its nickname from the fact that it was built into and on rock ledges on a mountain. 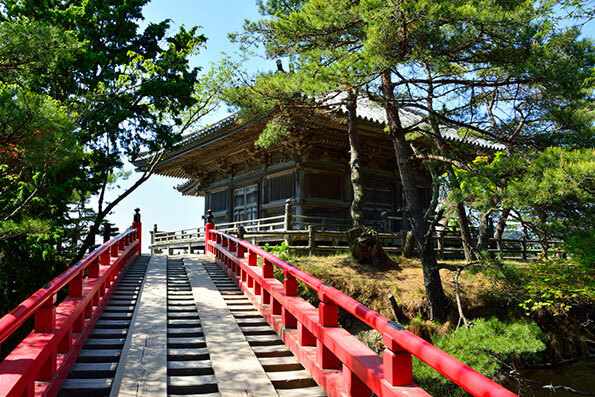 A Buddhist temple belonging to the Tendai sect, this temple was a pilgrimage point for monks in the past looking to attain Nirvana, and it still remains a spiritual spot today. 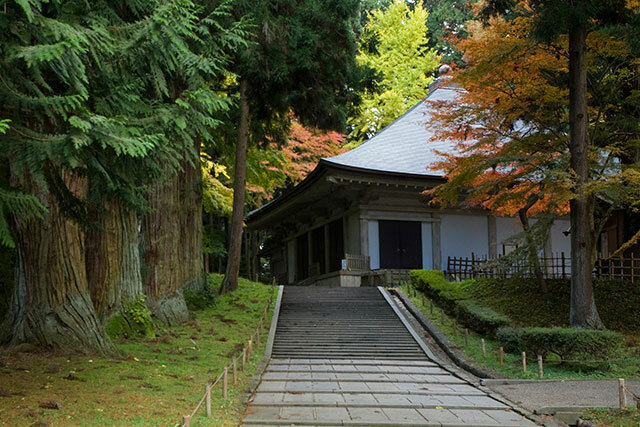 From the foot of the mountain to the top where the main hall, Okunoin, is located, there are 1,015 steps in total, which will take you around 30 to 40 minutes to complete. The climb isn’t easy as the steps are steep, but signs along the way remind you that these difficult steps taken would help you to forget your troubles, giving you motivation to go further. Kaminoyama is a small onsen（spa） city. 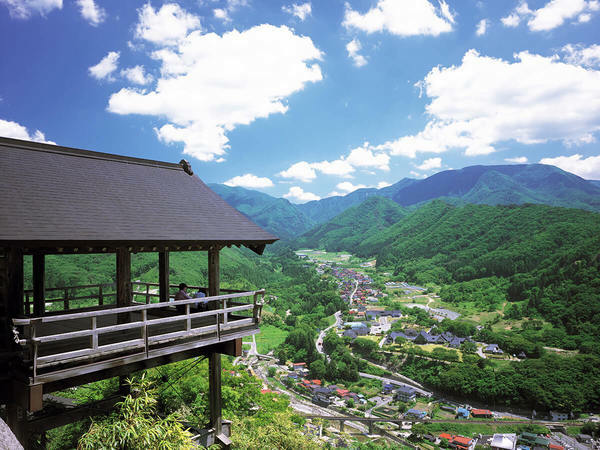 From Yamagata or Yonezawa, you can take the train to Kaminoyama Onsen Station and visit different onsen. 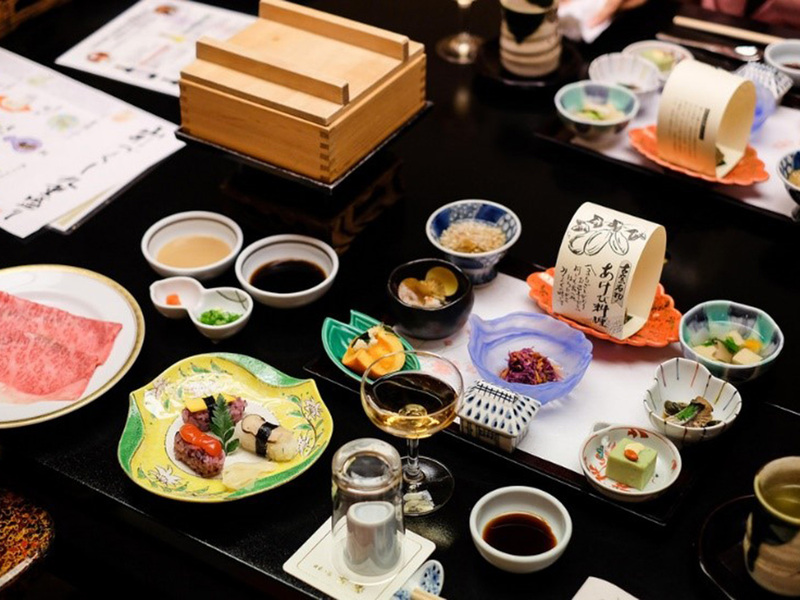 Since there are so many things to see in the prefecture, I recommend you to spend your night at Koyo where you get the best of both worlds – a scrumptious dinner and very good onsen. 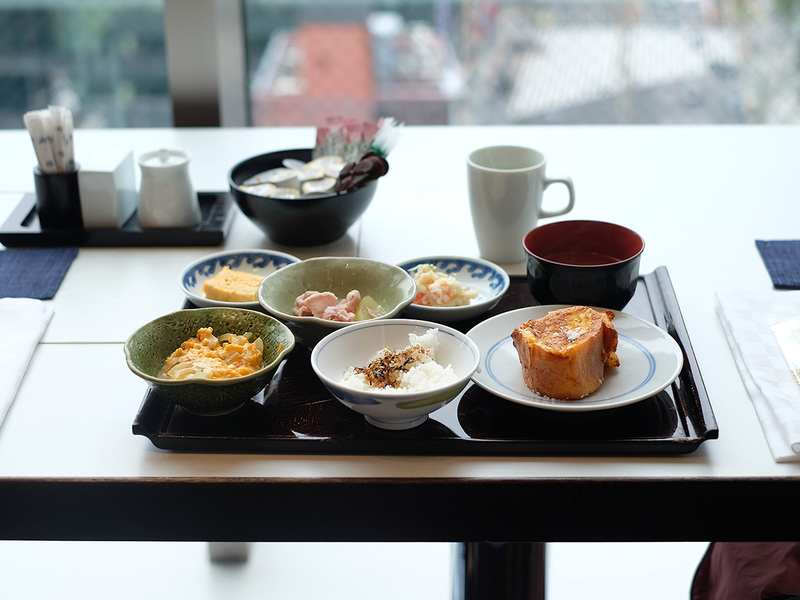 Koyo reminded me of exactly why I love Ryokans – the service is impeccable, the rooms are beautiful, the onsen makes me wonder why I haven’t permanently moved to an onsen town yet, and the food,I still have dreams about the mouth-watering dinner Koyo served. 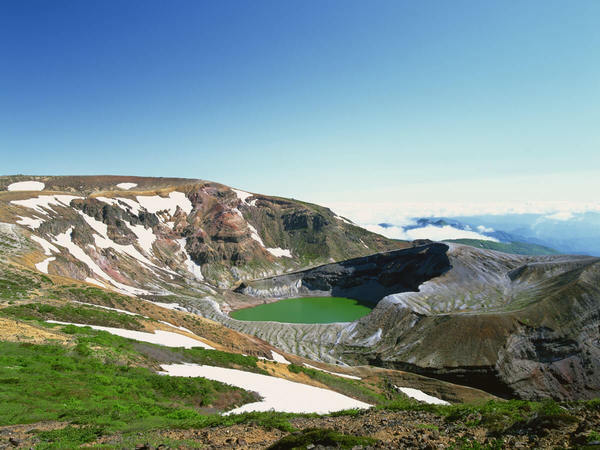 This natural lake formed in the crater of a volcano is the symbol of Mt. Zao. 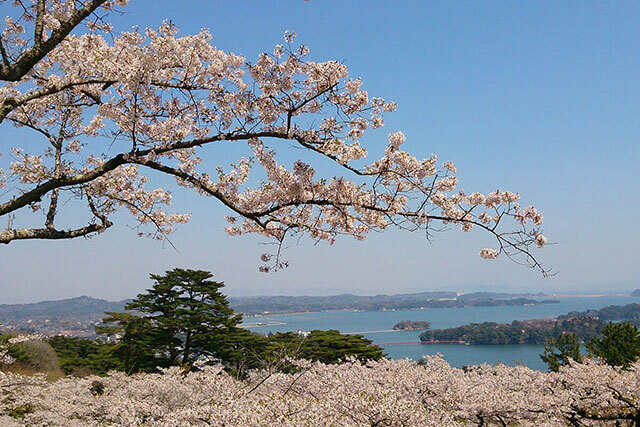 The lake was 27m deep but it was gradually buried over years due to the collapse of Goshikidake cliff walls. It is sometimes called the Five Color Lake due to the way its water changes colors from day to day. 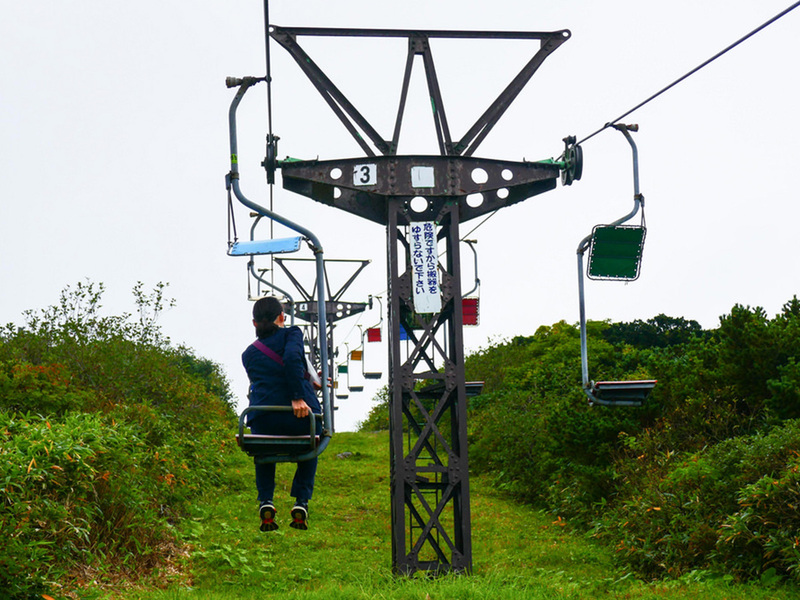 The circle crate is surrounded by the three mountains of the Zao Mountain Range, i.e. Kattadake, Kumanodake, and Goshikidake. 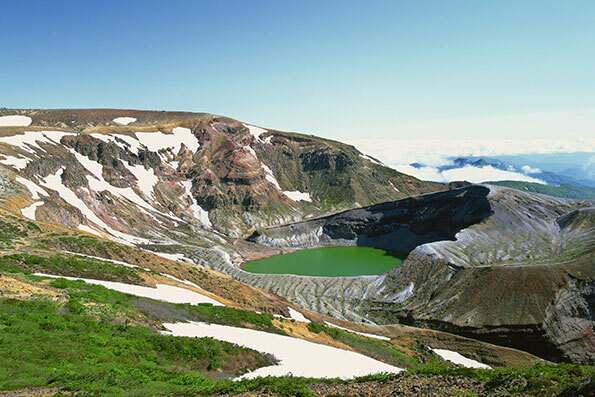 This lake was named Okama after Japanese traditional cooking pot (kama) from its shape, and has been beloved by all.Crater Lake Viewing Season happens early May to late October. 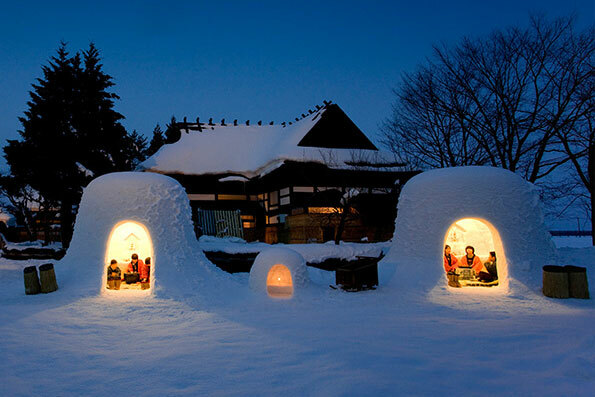 There are two buses per day between Kaminoyama Onsen Station on the Yamagata Shinkansen and the Katta park outside of winter. The one way trip takes about one hour and is free of charge! 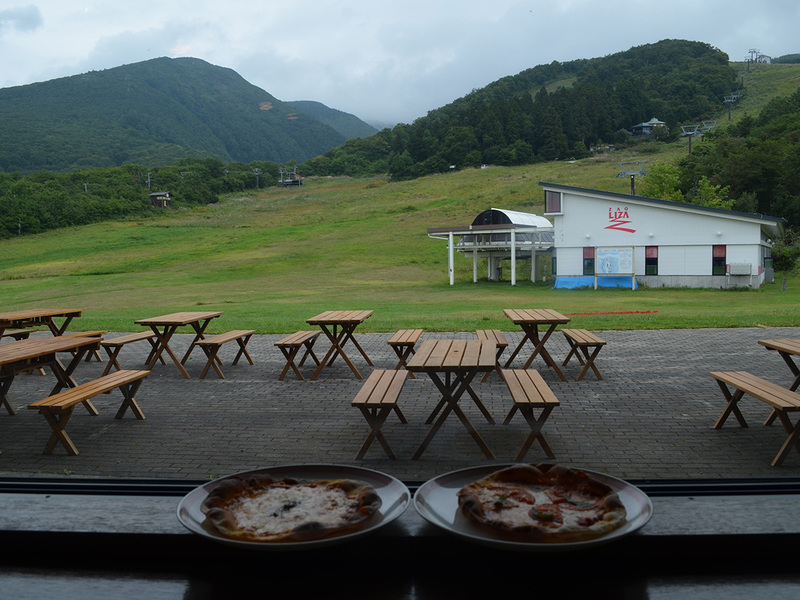 After the visit to Mount Zao which takes up about half a day, you can drive down to Zao Liza World to have a slice of pizza! While talking to a really nice lady at the onsen about my plans to go up to Zao Okama, she gave me a piece of really valuable advice- if the crater lake is blocked by fog, wait it out for the strong winds atop the mountain would clear it up soon enough. This proved to be true later, where the cloudy skies had us worried that we would miss the view, but the winds gave us a cheeky glimpse of the crystal blue colors lying peacefully in the crater every once so often. 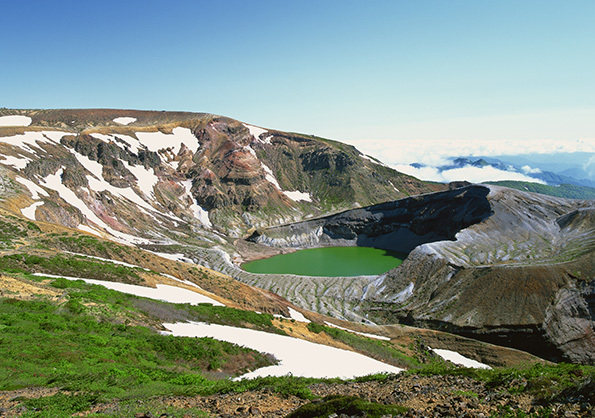 A volcanic explosion created Okama crater about 800 years ago. The crater lake really is worth all the fear riding up the lift with its shining emerald waters glittering in the middle of the rocks, not to mention the possibility of being able to see five colors reflected on the rocks by the waters due to the sunlight, giving the lake its nickname goshikiko (lake of five colors). Liza restaurant serves a hearty serving of handmade pizza for lunch. 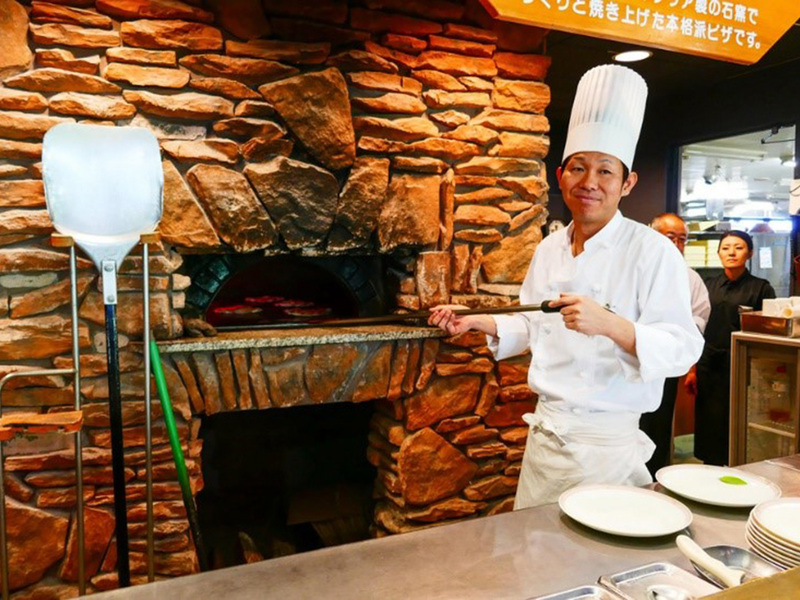 Upon placing your order, the chef proceeds to knead the dough till it is ready to bake in the stone oven in the back. 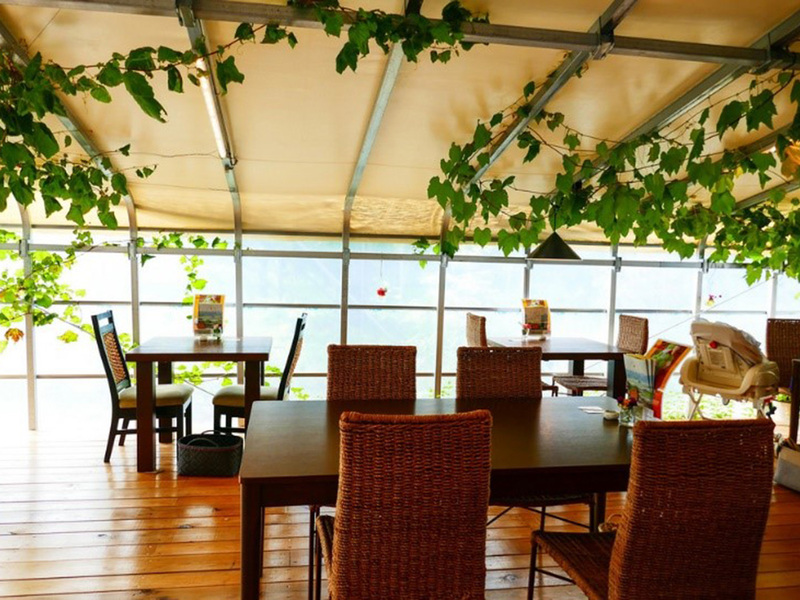 One of my favorite destination in Yamagata Prefecture is Takahashi Fruit Land where we get to pick the seasonal fruits. Grapes were in season during my visit in September so we get to try a few varieties of grapes. All of them were so sweet! 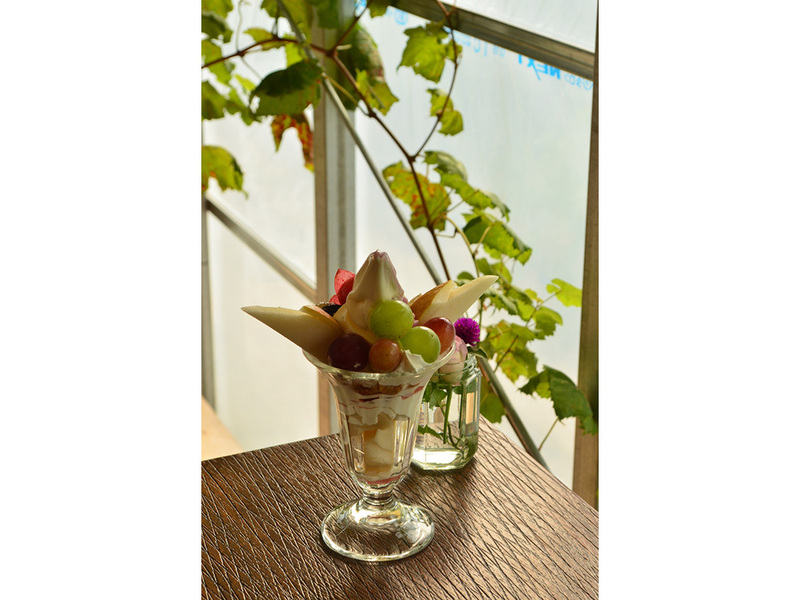 Takahashi Fruit Land makes fruits all year round with 100% organic farming. 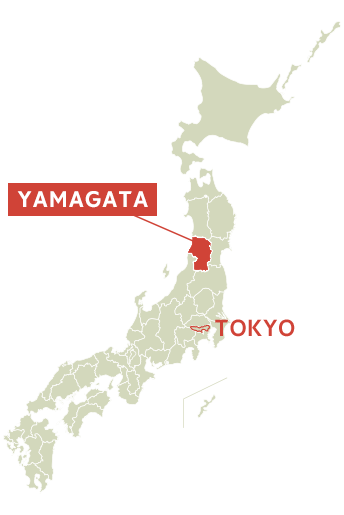 Yamagata (Yamagata-ken) is a large prefecture along the Sea of Japan coast in the Tohoku Region. 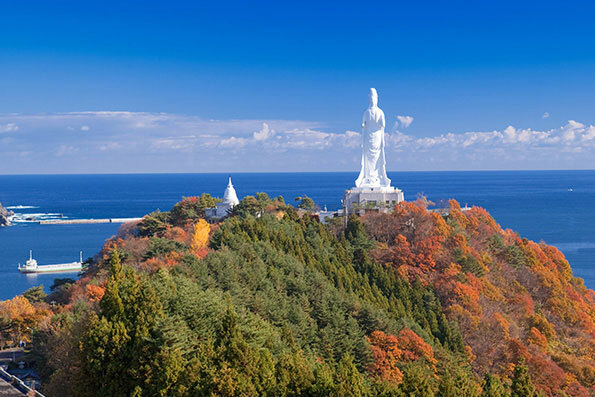 The prefecture is blessed with natural beauty such as Mount Zao. It also has more than 100 hot spring locations. 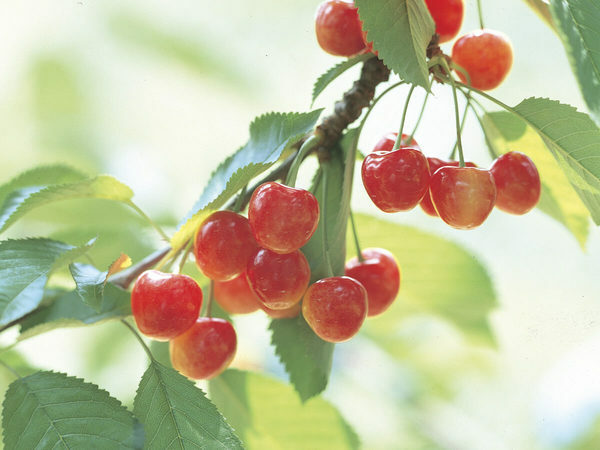 More importantly, it is the largest producer of cherries and pears in Japan. A large quantity of other kinds of fruits such as grapes, apples, peaches, melons, persimmons and watermelons are also produced. Our trip ends with a shinkansen ride back to Tokyo, where we all knocked out again in the first half an hour. 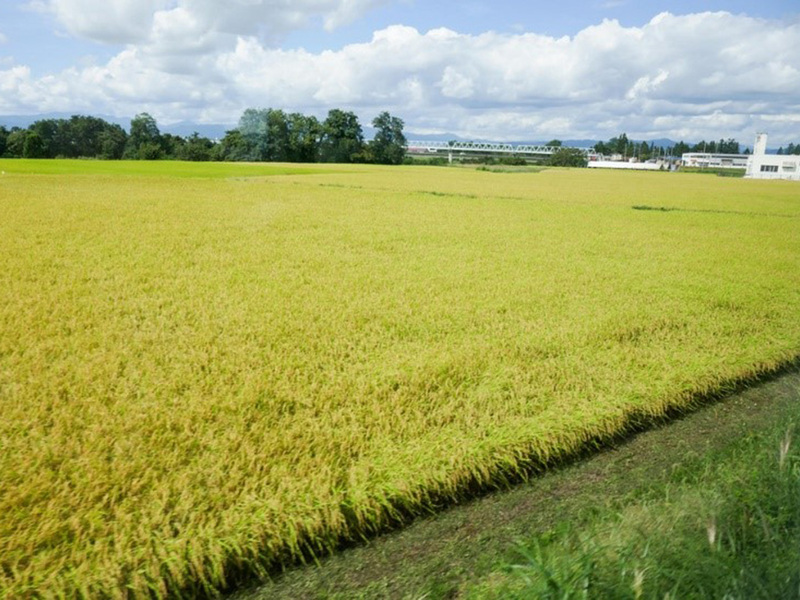 I woke up just in time to say goodbye to the golden rice fields blurring before my eyes, and the stunning panoramic views of agriculture towns. 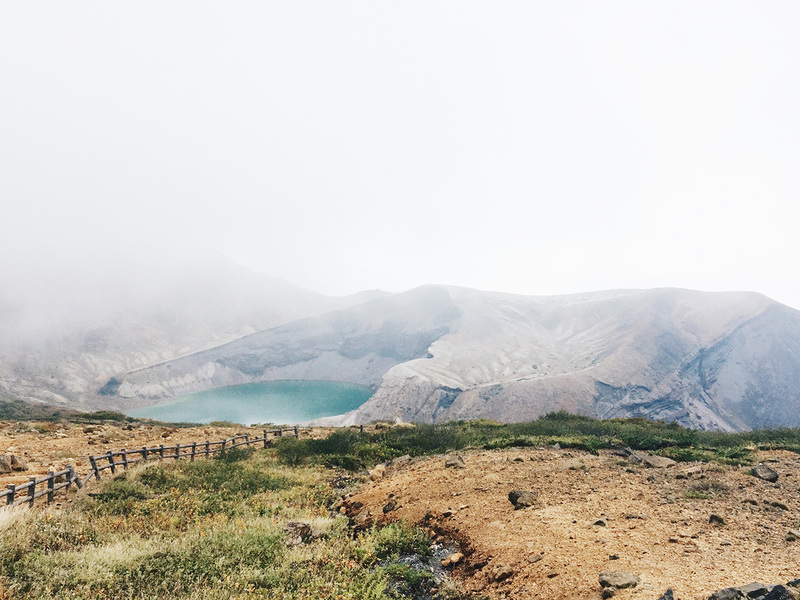 Yamagata, you’re beautiful. 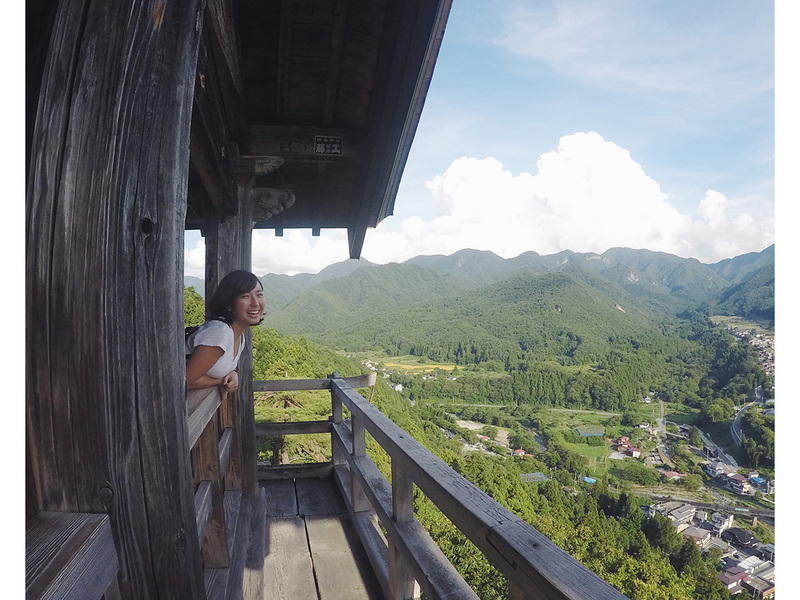 A trip to Yamagata lets you explore the more rural yet beautiful part of "Japan" which many do not know. 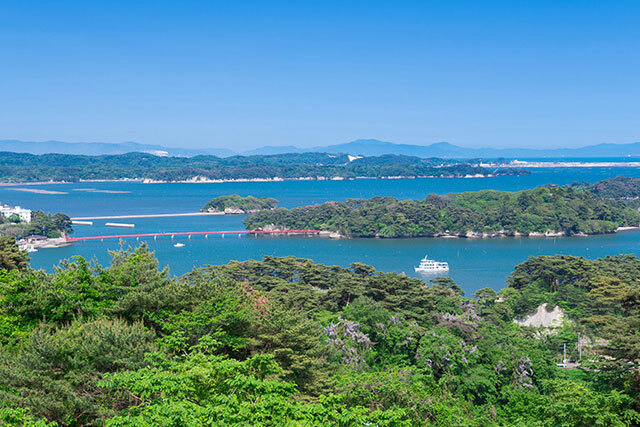 You get to understand how sake and good quality beef came about, as well as breathe in fresh air and enjoy stunning view at Mount Zao. 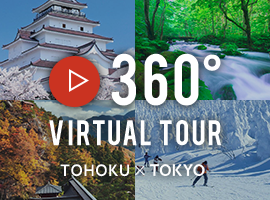 It's a very different experience altogether and you can truly experience Japan at its best. 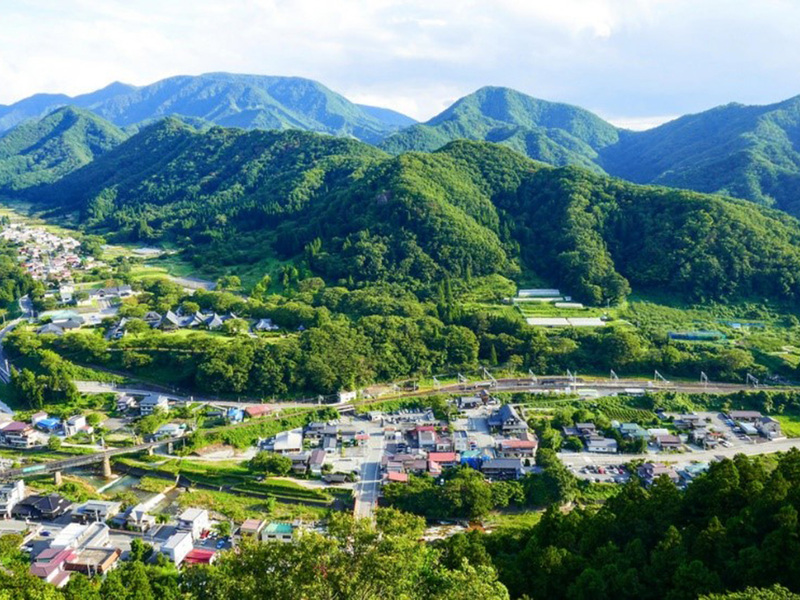 Just a short two-hour trip away from Tokyo is Yamagata, the land of panoramic, lush green nature landscapes, unforgettable delectable cuisine, onsen, and friendly smiles. 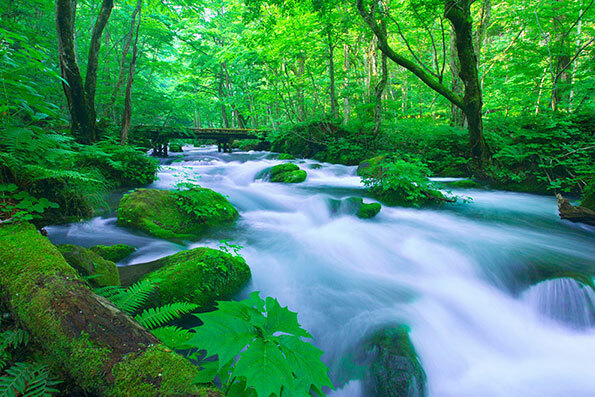 There, you can find endless things to do in the day ranging from active hiking to appreciation of Yamagata’s food produce, and yet be able to spend the evenings slowly immersed in an onsen listening to the trickling of water and the sighs of the wind gently grazing your face. 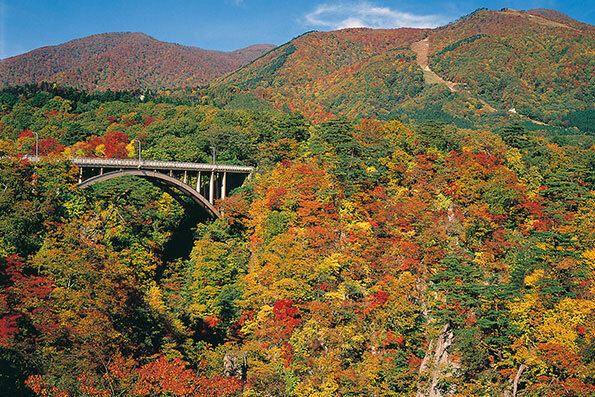 For Yamagata, you won’t regret it.